The modern periodic law states that physical and chemical properties of elements are periodic function of their atomic numbers. In 1913, Moseley proved that the most fundamental property of an element is its atomic number. So, he suggested that atomic number should be the basis for classification of elements. 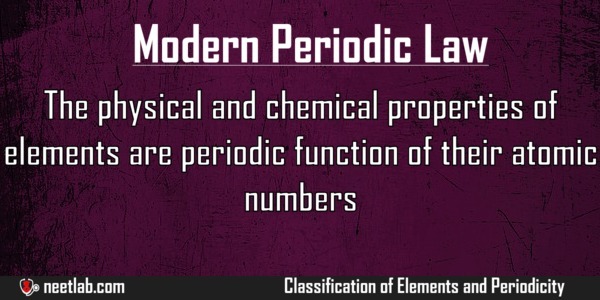 Based on this law, elements are arranged in modern periodic table in the ascending order of atomic numbers. 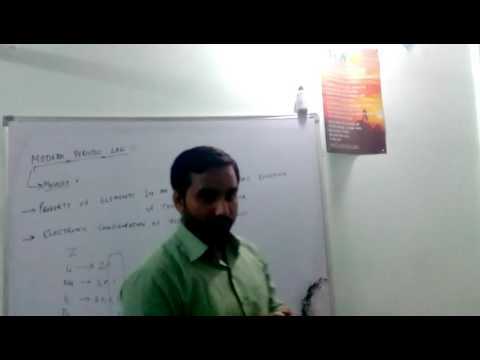 Modern Periodic Law"Chemistry Tutorials Pathshala"
Atomic Number is the most fundamental property of the element. The anomaly in Mendeleev table of having the element with higher atomic mass element before the element with lower atomic mass is removed by Modern periodic law. For Isotopes, although they have different atomic mass, they are placed in the same position in periodic table because of same atomic number.